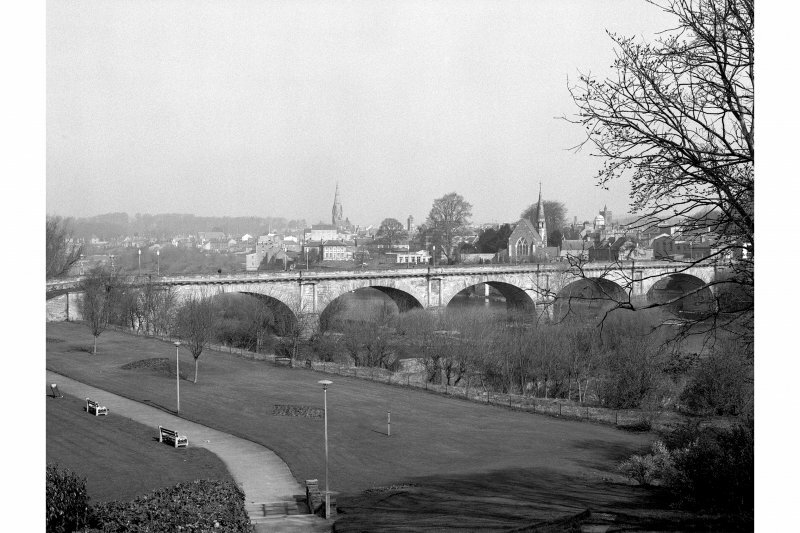 Scanned image of view of bridge from River Tweed. 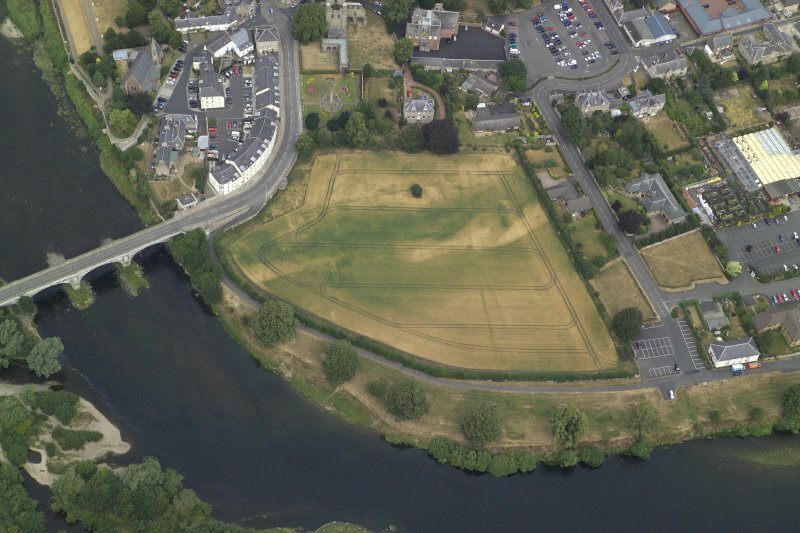 Oblique aerial view centred on the cropmarks of the possible formal garden with the bridge adjacent, taken from the SE. 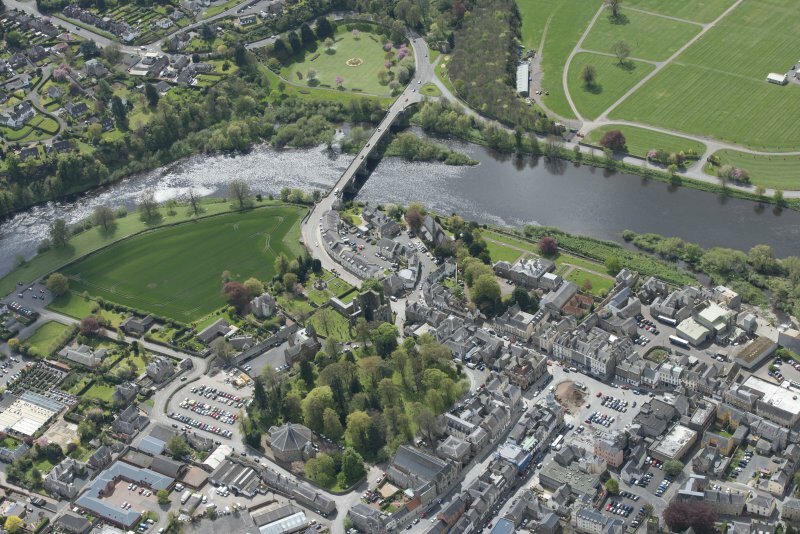 Oblique aerial view of Kelso Abbey, War Memorial, Kelso Parish Church and Kelso Bridge, looking S.
On 25 October 1797 a violent storm undermined the middle arches of the old Kelso Bridge over the River Tweed, and the weakened structure collapsed the following day. Dismayed by the loss of the bridge, shares were issued to raise funds for a new crossing over the river. 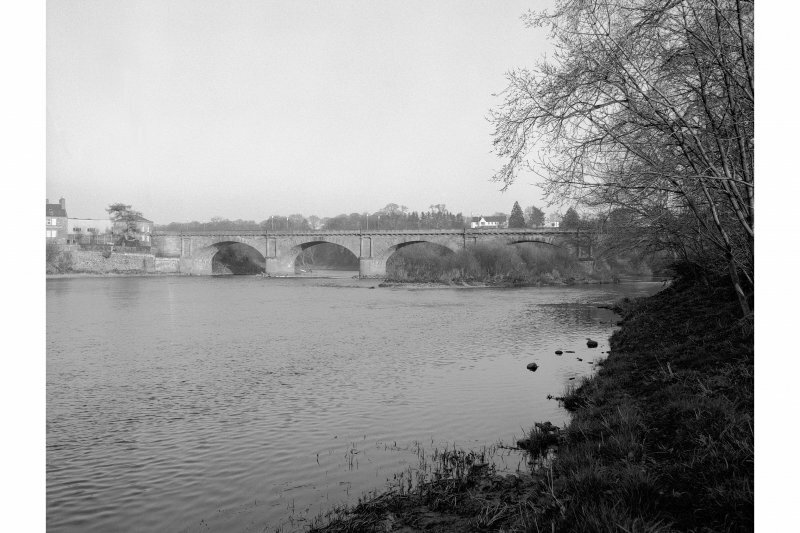 John Rennie of Haddington, who would later work on Waterloo Bridge in London, began work in 1800. His design used five semi-elliptical arches, a revolutionary design based on French practice, and had a level carriageway. 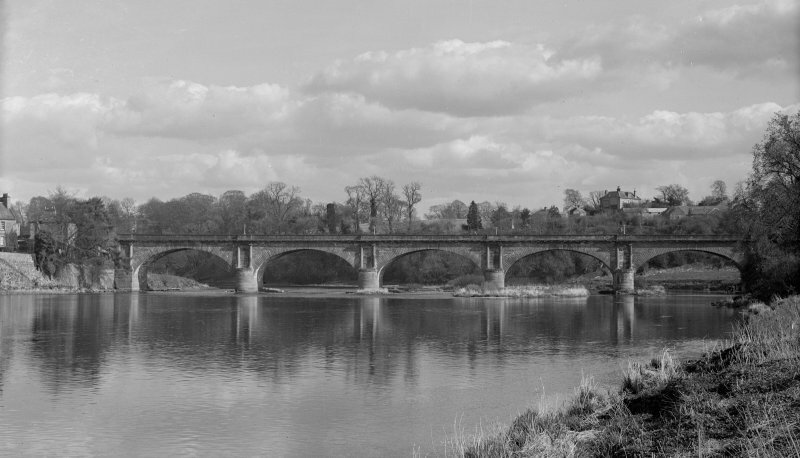 The bridge was much admired by the people of Kelso, and in 1838, the minister J A McCulloch wrote approvingly of its modern design. It was built at a cost of #17,800, with #15,000 borrowed from the Government. To repay the loan, it was deemed necessary to levy a toll on traffic crossing the bridge. By 1854 it was realised that the loan had been easily repaid with over fifty years of tolls. The refusal of the trust managing the bridge to publish any of their accounts led to riots and an assault on the wooden toll gates. Soldiers were summoned from Edinburgh and although order was finally restored none of the leaders of the riot were ever caught. Later in the year, the tolls were finally abandoned. 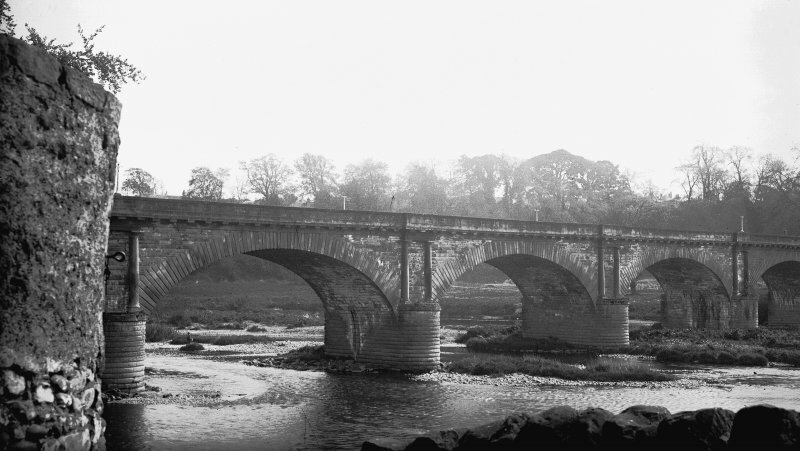 A local tradition maintains that the 'reluctant pennies' of those crossing the bridge wore the groove along the parapet toward the toll-house. 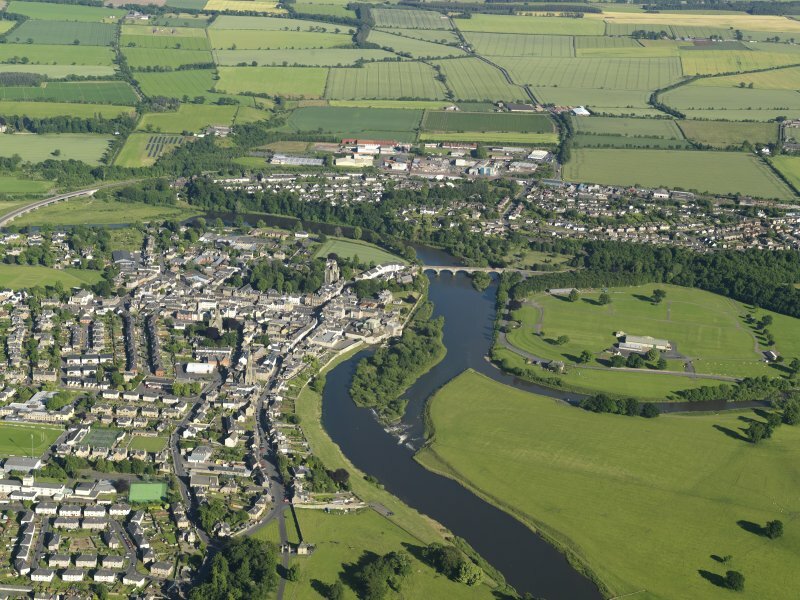 Not to be confused with Kelso, Teviot Bridge, for which see NT73SW 79. For (predecessor) Old Bridge (apparently at the same location), see NT73SW 64.00. For adjacent pillbox and tollhouse, see NT73SW 103 and NT73SW 110, respectively. 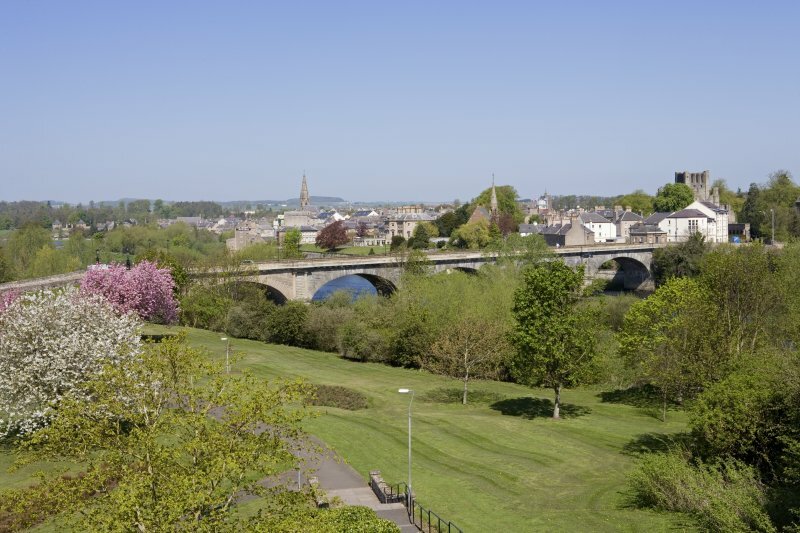 Kelso Bridge: a payment of £40 towards the bridge. 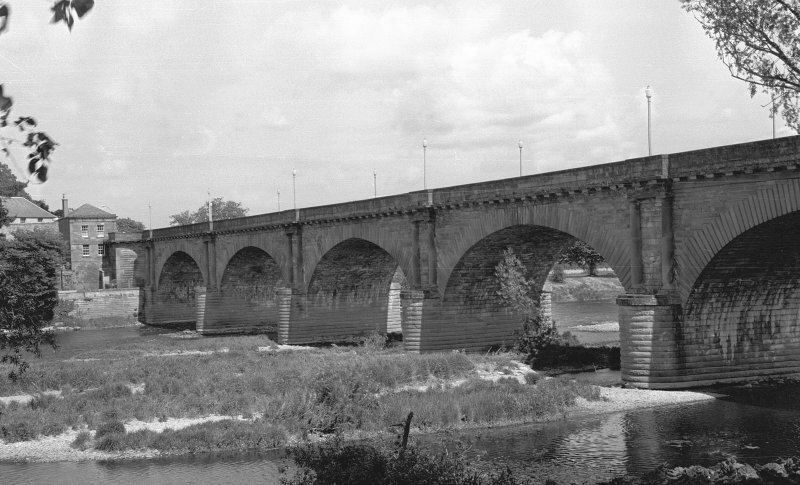 Kelso Bridge was built 1800-1803, engineer John Rennie. 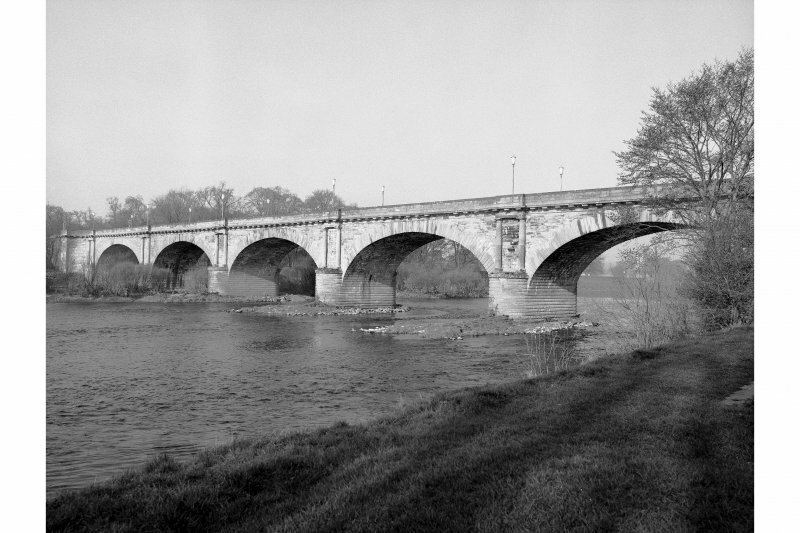 Hume notes that it is one of his finest and, in design, was a precursor to Waterloo Bridge in London. 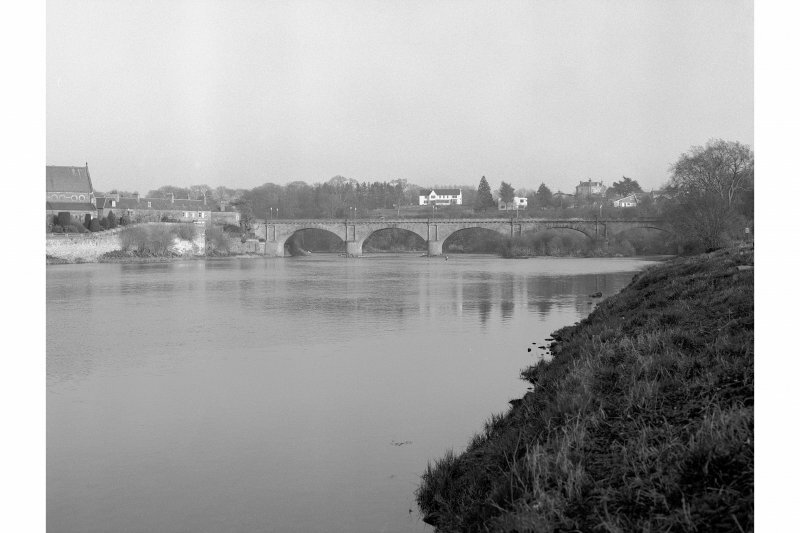 The 5-span bridge has the Rennie 'signature' level carriageway, which is generally unusual for a bridge of this date. The cutwaters are rounded below Doric columns which are repeated on the abutments. There is also a dentilated stringcourse which is echoed in the nearby tollhouse (NT73SW 110). 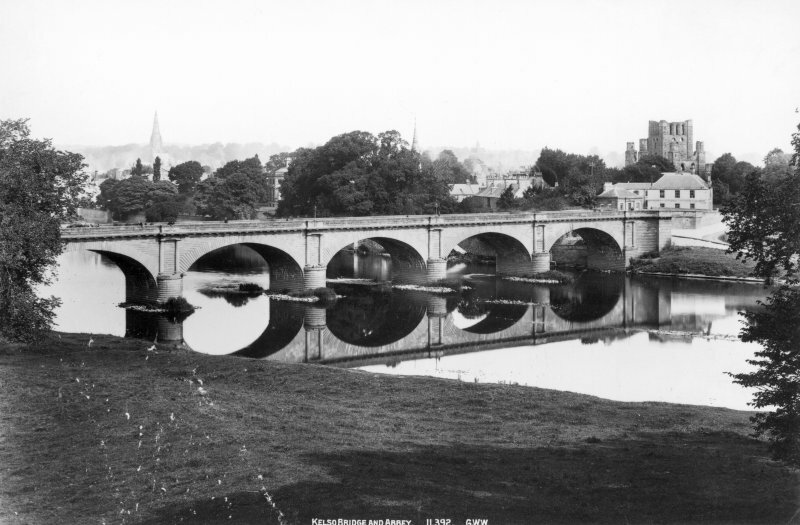 Kelso Bridge and Toll-house, 1800-3, John Rennie. Level carriageway supported on five elliptical arches, the piers built off rounded cutwaters which carry paired engaged Doric columns. At the W end, cast-iron lamps salvaged from Rennie's London Bridge on its demolition in the 1930's. 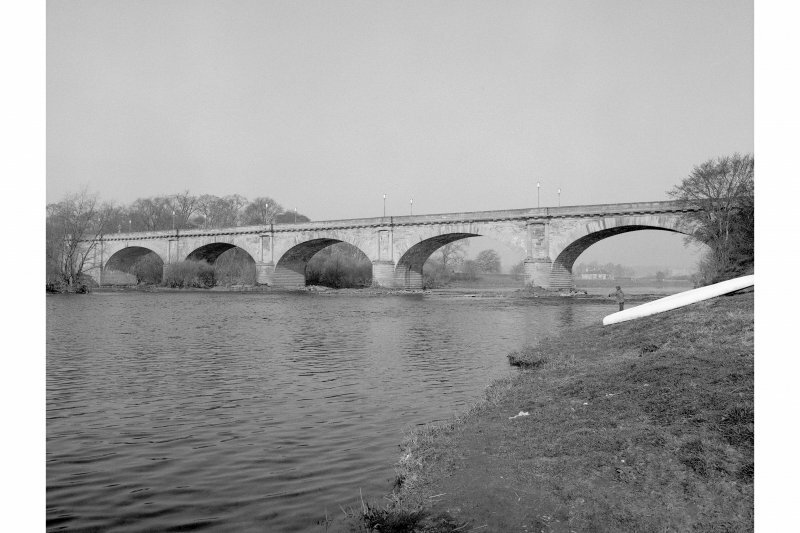 Kelso was his first major bridge, replacing that (NT73SW 64.00) of 1754 (swept away in 1797). Sir William Fairbairn, Kelsonian (1789-1874), the mechanical engineer, worked here as a 14-year old, being almost crippled by a falling stone. Information from Historic Scotland, Certificate of Exclusion from Schedule dated 23 February 1996. 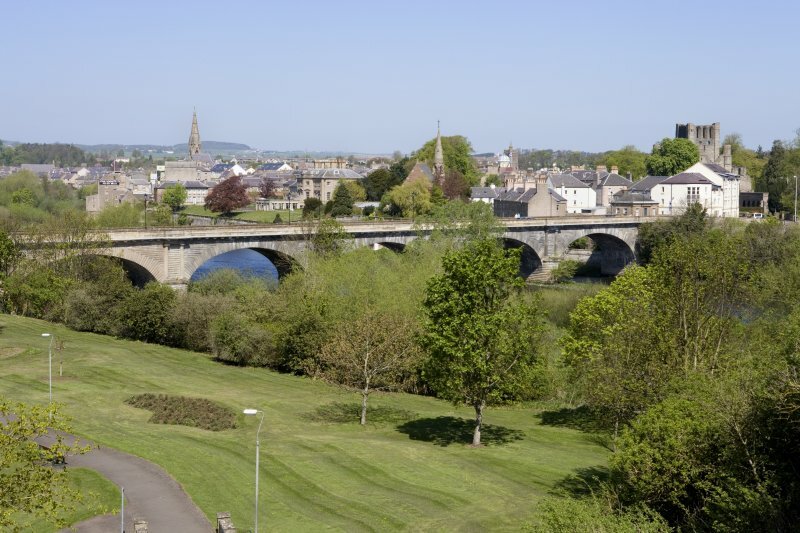 This bridge carries the A698 public road across the River Tweed to the S of Kelso. The location assigned to this record defines the centre of the span. 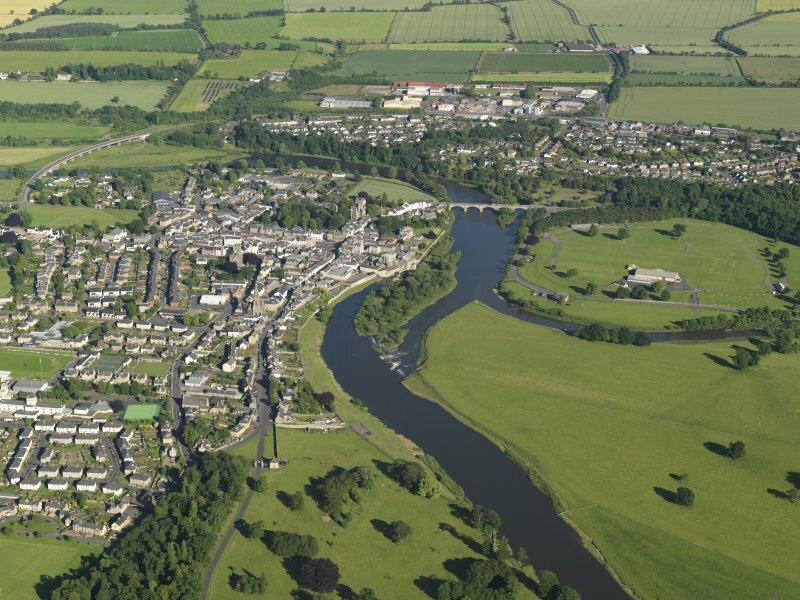 The available map evidence indicates that it extends from NT c. 72825 33655 to NT c. 72735 33550.
greater than those of Kelso! Masonry re-pointing and some bridge strengthening took place in 1921. A small width increase was proposed in 1956 but the Fine Art Commission objected strongly because the required cantilevering would affect the architecture of the elevations. It was not implemented. In 1981 the parapets were rebuilt with much new stone being used. 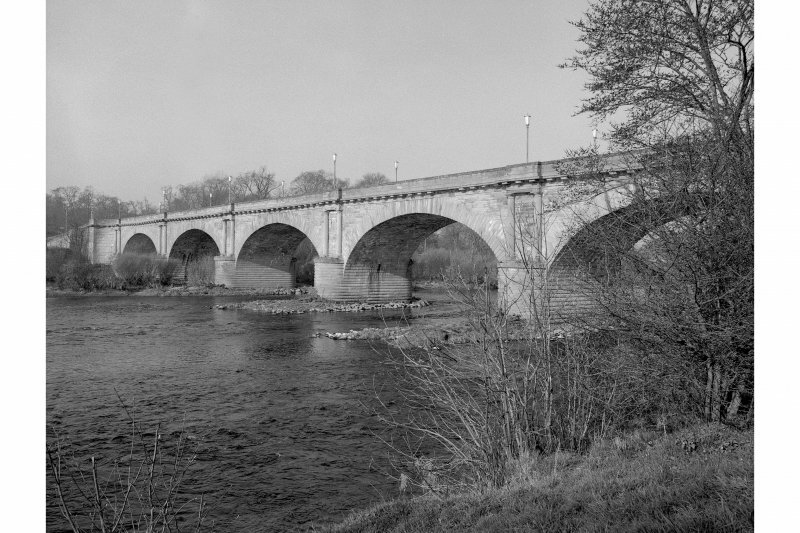 Reproduced from 'Civil Engineering Scotland: Lowlands and Borders' with kind permission fromThomas Telford Publishers.